The Los Angeles chapter of the Council on American-Islamic Relations estimates there are around 500,000 Muslims in the region. In 2010, there were 59 mosques serving about 69,000 Muslims in Los Angeles County, according to USC’s Center for Religion and Civic Culture. Some of the most established mosques in Southern California still tend to reflect the country of origin of its founders, according to Brie Loskota, executive director of the USC center. 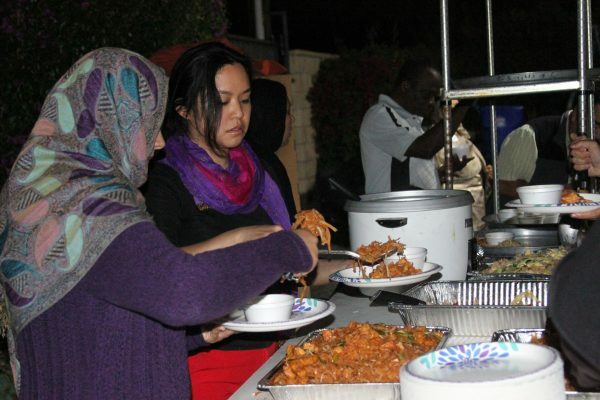 Congregants at the Thai mosque are not only from Southeast Asia, but also first- and second-generation immigrants from Bangladesh, Niger, Pakistan, India and Morocco, as well as white and African American converts. Sexual Assault During Hajj: Will #MosqueMeToo Lead to Reforms in Mecca?